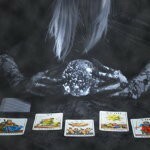 A service provided that brings you an increase of Dark Arts energies that can be channeled into communicating & interacting with Dark Arts spirits & entities or with casting or using Dark Arts energies or magic. Because there are so many entities that are considered Dark Arts this can be an extremely valuable tool to interacting & strongly connecting to human spirits as well as all Dark Arts creatures, spirits & entities. It also allows you to connect, comprehend, cast & utilize on a stronger level the magic & powers associated with the Dark Arts. This is a permanent enhancement to your Dark Arts powers and energies. This is a gothic, medieval, sensuous, wonderfully wicked energy that many find incredibly empowering! all the Master services are superb, in this day i could fill all of my spirits near, i could see streaks and fill the vibration around me, like i was in other time.